Bean bag chairs aren’t just for kids. They’re comfortable, lightweight and versatile furniture options. They can add character and style to any room, and they’re making a big comeback. If you’re the crafty type, you may want to try your hand at making your own. 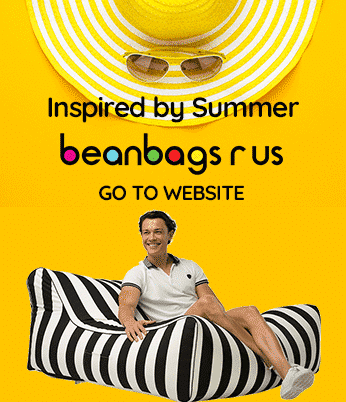 Creating your bean bag chairs gives you the option of choosing the fabrics you love and creating unique looks for your home, and all it requires are some basic sewing skills and a few inexpensive materials. The handy guide below will help you make bean bag chairs for adults. Before you begin your bean bag project, gather the following items. If you do not have a pre-printed pattern, instructions for creating a pattern for round bean bag chairs for adults are listed below. The pattern includes top, bottom and side pieces. 1. Lay your tracing paper out on a large table or the floor. 2. Mark the top with a pencil. Measure 50 1/2-inches down and make a second mark. 3. Locate the middle of the two marks, and measure ten 1/2-inches on either side. Mark both places. If you create a line joining the two marks, the pattern should form the shape of a cross. 4. Create a curved line that starts from the top mark and extends to the bottom one on the left. Repeat this action on the right. The lines should look like parenthesis symbols. 5. Three inches from the top mark, draw a small U-shaped line from the left pattern line to the right. Make the dip about one inch deep. 6. Measure six inches up from the bottom point and create another U-shaped line from the left pattern line to the right with a one 1/2-inch-dip. 7. You will need to cut six side pattern pieces for the outer cover and six for the inner liner. 8. Be sure to follow the U shapes when cutting each pattern piece. 1. Fold a large sheet of paper in half and mark the fold halfway down. 2. Place the end of your measuring tape or ruler on the mark and measure five 1/2-inches. Draw an arc from the folded mark. 3. When you cut out the pattern, it should form a large circular shape. 4. Cut one top pattern piece for the outer cover and one for the inner muslin liner. 1. Fold a large sheet of paper in half, and mark halfway down the folded edge. 2. Position the measuring tape or ruler on your first mark, and measure 12 inches from its position. 3. Cut out the circular shape, and fold it in half. 4. Measure one-half inch from the fold on one side. 5. Draw a line parallel to the fold, and cut along it. 6. Discard the smaller half of the circle. You will be using the larger one as your bottom pattern piece. 7. Cut four pieces of the bottom pattern piece; two are for your outer cover, and two are for the inner liner. Cutting two for each will allow you to sew a zipper along the straight edges at the bottom of the chair. 1. Using your sewing pins, attach each pattern to the fabric, and cut out your pattern pieces. 2. Pin bottom pattern pieces together along the straight edges of the circular shape. Use your sewing machine to place a temporary baste stitch along the straight edges where your bottom pieces are pinned. Press the seams open with a hot iron. 3. Place your 22-inch zipper right side down over the seam. The zipper teeth should be directly on the seam line. Use your glue stick to glue the zipper into place, and then sew it to the fabric using a straight stitch down each side. 4. Gather the six side pattern pieces, and sew them together. Be sure to sew them inside out so that they will be hidden in the completed project. Place the stitches 1/2-inch away from the edge of the fabric. 5. Leave the last two sides open. Use your hot iron to press the seams flat. 6. Invert the bag so that it is right side out and place a top stitch to each of the seams. Press the final seams with your iron to ensure a smooth, finished look. 7. Place a stay stitch on the uneven edges of all side pattern pieces. Turn the edges of each piece under and create a seam 1/4-inch from the top of the edge. Repeat this process for the bottom and top edges of all six side pieces, and press them into place with your iron. 8. Pin the side pieces to the top piece of the bean bag. Attach the sections with a top stitch about 3/8-inch away from the seams you just created. Repeat the process for the bottom pattern piece. 9. Repeat steps one through eight to create the inner bean bag liner from muslin fabric. 10. Place the inner liner inside the outer cover. Your bean bag chair is now ready to be filled with polystyrene beans. Fill the inner liner to at least 80 per cent capacity. Zip the inner and outer openings closed, and try out your new chair. You may add or subtract filler to make the bean bag firmer or softer if desired. If you’re intimidated by the idea of tracing and cutting out patterns, a square or cube-shaped chair is a simple alternative you might enjoy creating. To form your top, bottom and side panels, measure and cut six identical square pieces of fabric slightly larger than the desired size of the chair. Using a sewing machine, sew all sides together to form a cube, leaving the last two sides open. Sew a zipper into place, and repeat the same steps to create an inner muslin liner. Making floor and throw pillows is a great way to accent your other bean bag furniture. To make coordinating bean bag pillows, cut two identical square or rectangular piece of your cover fabric, and sew them together on three sides. Invert the pillow to hide seams. Fill with polystyrene beans, and sew the final side shut. If you have fabric left over, use it to make a matching throw or blanket. If you would like to create large pillows for lounging on the floor, add an inner liner, and sew a zipper into the side, so you can replace the filling when needed. You’ll want your bean bag chairs to be comfortable, so choose fabrics that are both sturdy and soft. Avoid using fabrics that unravel easily. Bean bags should be designed to withstand a lot of abuse. Remember to choose washable fabrics, so you can clean and refresh your cover as needed. To make a chair that’s easier to keep clean, choose a water-resistant material. If you have pets, be sure the fabric you choose is durable enough to survive scratching and biting. Your bean bag chair doesn’t have to be one solid colour. Feel free to use various colours for side panels, or choose interesting prints or alternating textures. Although muslin is recommended for your inner liner, you may also use mesh or other inexpensive materials. The inner liner is not visible, so it’s an excellent opportunity to use up scrap material. Polystyrene beans can present a safety hazard. If you have small children in the household, remove all zipper tabs to prevent accidental access to the bean bag filler.